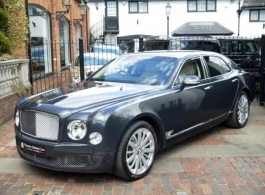 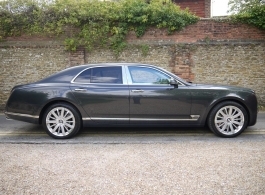 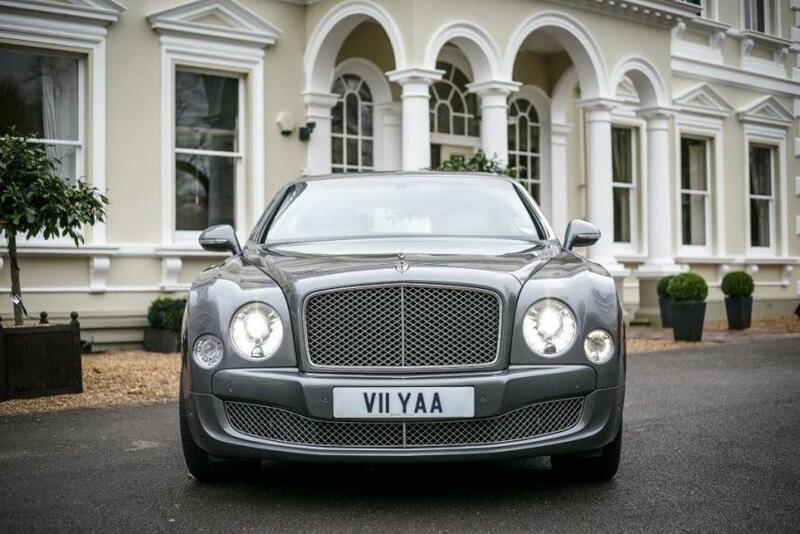 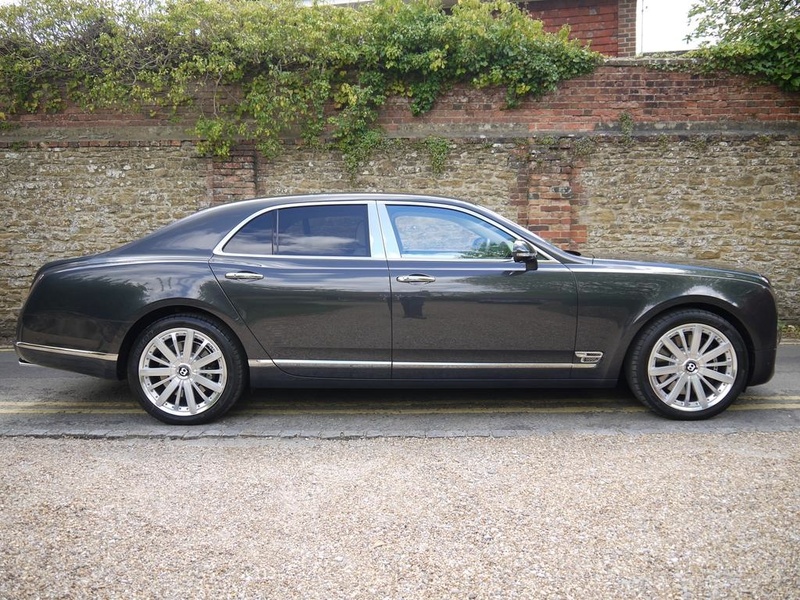 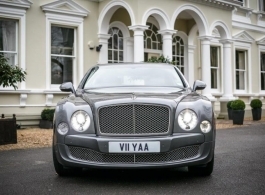 Ultra modern Bentley Mulsanne for weddings in London, Berkshire, Buckinghamshire & Surrey. This stunning Bentley wedding car is the ultimate in luxury and prestige, a modern chauffeur driven car difficult to surpass in terms of class and style. The exterior is immaculate and has smooth & comfortable Cream leather seating. 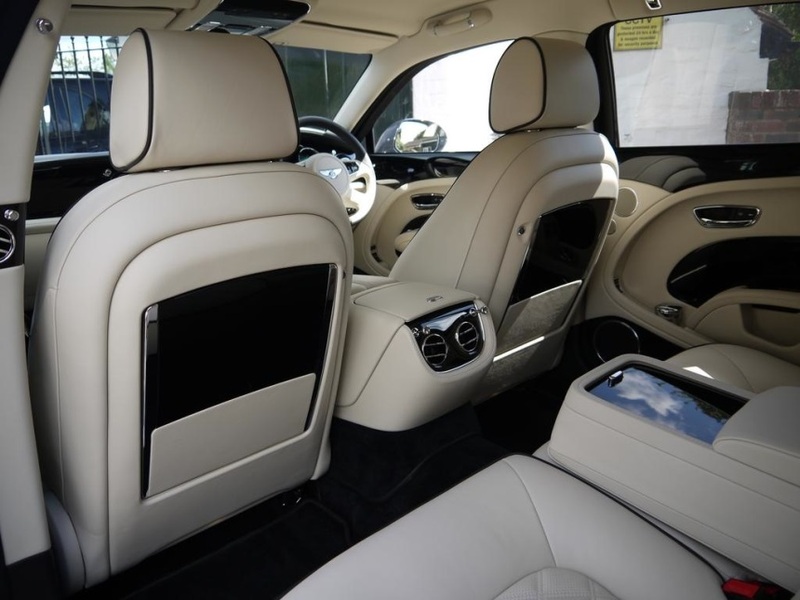 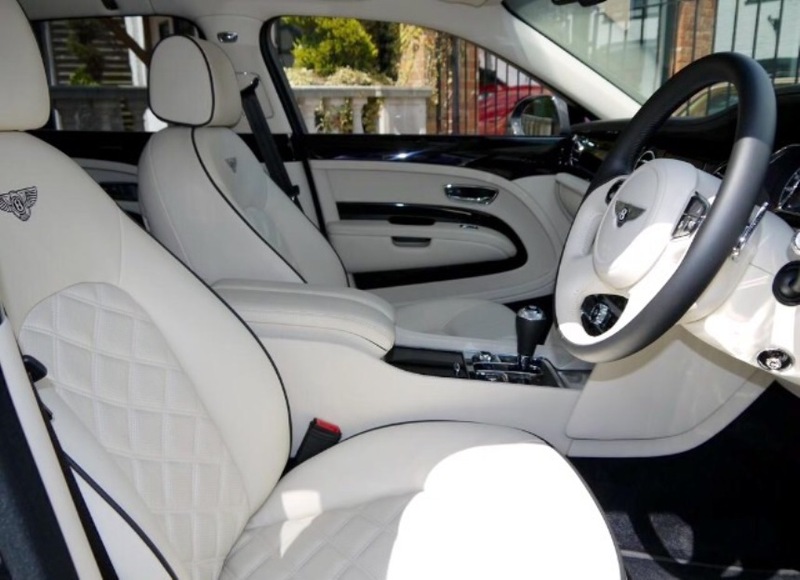 The spacious rear seats of the Bentley Mulsanne make it perfect for brides and their dresses, or for those who like to stretch out and relax.